Not finding much to your liking at the movie theater this weekend? Might I recommend an unexpected comedy delight? My friend Char and I took Criminal on face value. Big name cast. Thriller premise. Should be okay at the very least, right? In hindsight, I’m glad we didn’t read the lackluster reviews, or we might have missed the comedy event of the season! Criminal is such an over-the-top ridiculous movie, with scenes of action and violence that build and morph into such grandiose gore, you can’t help but laugh aloud. I mean, I kept a bored, straight face for the first 45 minutes. But once I allowed myself to laugh at the craziness on screen, the movie got better and better. And the rest of the audience seemed to enjoy it more, too. If the producers had marketed the movie as a comedy, I think the reviews would have been better, too. And it might have explained why Kevin Costner’s character growled like an ape the entire film. We’re talking whackadoodle, my friends. 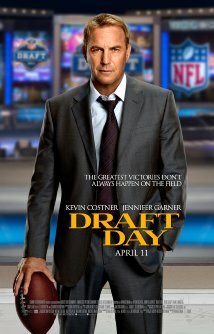 Kevin Costner does good sports movies. Field of Dreams. Bull Durham. Tin Cup. And my personal favorite, For Love of the Game. And Draft Day does not disappoint. The NFL was squarely behind this movie, so all the teams are real franchises. Costner manages the Cleveland Browns and wheels and deals with teams like the Seattle Seahawks. There are so many cameos by NFL players and ESPN announcers, you kinda forget it’s a movie; it certainly looks like the actual draft that you’ve seen on TV. The only clunky part for me is the romantic relationship. While it can be an integral part in films like For Love of the Game, here Costner’s scenes with co-star Jennifer Garner grind the action to a halt. While she certainly has reason to distract him, you have to wonder why a sports fan like her would. It’s draft day, for cripes sake! The Ultimate Date Movie of All Time. Why now? Because it was on TV while I was eating lunch today. And I watched it….yet again. And cried…yet again. And did I mention it was a baseball movie? My friends and family will not be surprised by my choice. 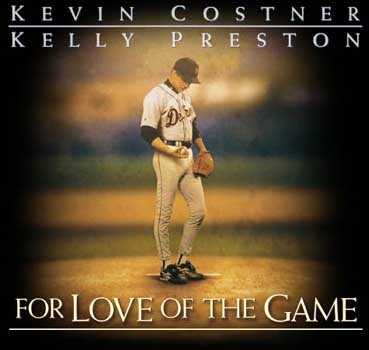 I often champion For Love of the Game when movie debates take a male / female, he-said / she-said turn. What other movie has it all? Such meaty relationship “stuff” for girls (and boys) who want to spend two hours pondering love and all its highs, lows, recoveries and gut-wrenching blows? Add the story of a baseball player, poised to pitch a perfect game and perhaps say good-bye to the sport that he has lived and loved for almost two decades? No doubt you’re trying to look tough in front of your girlfriend. If you are sad that the holiday weekend is over, rest assured..it is not. Today is a holiday as well — National Neither Rain nor Snow Day. Yeah, I thought it sounded made up, too, but it’s not. 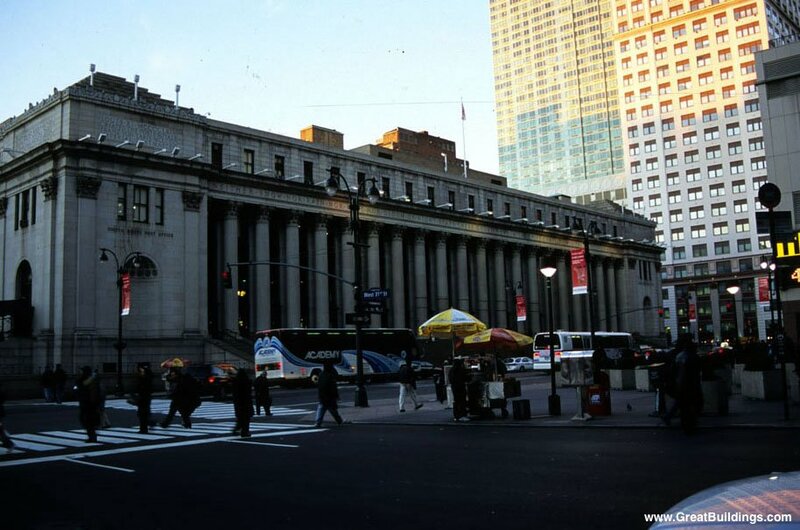 National Rain nor Snow Day celebrates the opening of the New York Post Office building on this date in 1914. A lot of people — myself included — think of this as the United States Post Office motto, but it’s not; it was actually the motto of the Pony Express, which was never a government-funded operation. I know…as holidays go, it’s not that exciting. Ask Kevin Costner; he did an entire movie on the topic — it was called “The Postman,” and nobody went to see it (except my brother Kent, who liked it a lot). But I’m doing my best to extend your holiday weekend — to give you an excuse to stop your work and go home. So, run! Be free! Find a horse and gallop off into the sunset!